What Is the Race and Color of Jesus? In this Friday, Feb. 1, 2013 file photo, a pedestrian walks her bicycle past a silhouette of Jesus Christ projected against the Cathedral-Basilica of Saint Louis King of France in New Orleans, two days ahead of the NFL Super Bowl football game between the San Francisco 49ers and the Baltimore Ravens. "I find it fascinating that that's what people really want to know _ what race was Jesus. That's says a lot about us, about Americans today," says Edward Blum, co-author of "The Color of Christ: The Son of God and the Saga of Race in America." Photo Credit: The Associated Press, David Goldman, File. What is the race and color of Jesus, and why does it matter? For two thousand years, he has been worshipped and adored. Multitudes look to him each day. And yet nobody really knows the face of Jesus. That has not stopped humanity's imagination, or its yearning to draw Jesus as close as possible. So when this Christmas season brought a torrent of debate over whether Jesus was a white man, it struck a sacred nerve. "That statement carries a whole lot of baggage," said Rockwell Dillaman, pastor Allegheny Center Alliance Church in Pittsburgh. "Political baggage, spiritual baggage, emotional baggage. Especially in a culture like ours where the relations of white people to other ethnicities has often been marked by injustice and distrust." Why should we even care what Jesus looked like? If his message is God and love, isn't his race irrelevant? Some say God wanted it that way, since there are no references to Jesus' earthly appearance in the Bible. But the debate was a reminder of just how difficult it is for anyone to transcend race – even a historical figure widely considered to be beyond human. 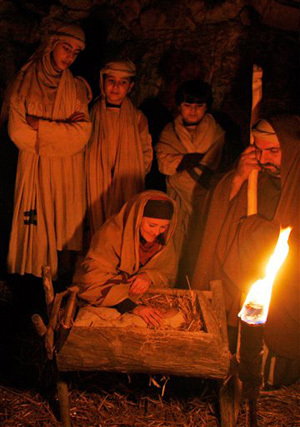 "I find it fascinating that that's what people really want to know – what race was Jesus. That says a lot about us, about Americans today," said Edward Blum, co-author of "The Color of Christ: The Son of God and the Saga of Race in America." "Jesus said lots of things about himself – I am divine, I am the son of man, I am the light of the world," Blum said. "What race is light? How do you racially categorize that?" Jesus can be safely categorized as a Jew, born about 2,000 years ago in the Middle East in what is now Palestinian territory. Therefore, many scholars believe that Jesus must have looked "Arab," with brownish skin. "Today, in our categories, we would probably think of him as a person of color," said Doug Jacobsen, a professor of church history and theology at Messiah College. That view was contested by Fox News host Megyn Kelly while critiquing a Slate.com column titled "Santa Claus Should Not Be a White Man Anymore." "Jesus was a white man, too," Kelly said, launching a national discussion about history, tradition and just how white Christmas should be. Her statement drew responses from impassioned rebukes to scholarly rebuttals. "It's just an incorrect statement," Jacobsen said. "It's an ignorant statement, not an intentionally false statement." Wrote Jonathan Merritt in The Atlantic: "If he were taking the red-eye flight from San Francisco to New York today, Jesus might be profiled for additional security screening." If this is so obvious, though, why does a Google image search for "Jesus" reveal countless pictures of a European man with straight hair, fair skin and, often, blue eyes? Why is that the prevalent image in America, from stained glass windows to movies to children's books? 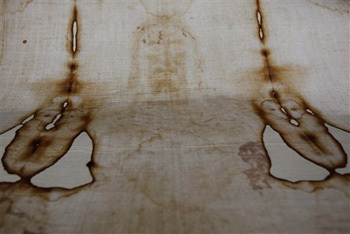 The first pictures of Jesus appeared several hundred years after his death, Blum said. Some depicted him in animal form, as a lion or a lamb. Blum said that from about 700 to 1500 A.D., various Jesus images proliferated throughout Europe, the Middle East and northern Africa – including hosts of black Jesus pictures. "People in every culture portray Jesus looking like people they knew," said Jacobsen. "They depict him as one of their own." Dillaman, the pastor, has a book that offers Bible images from different world cultures – a last supper where everyone is Thai; images of Jesus as Chinese or African. "All these ethnicities are trying to capture Jesus in their own skin, if you will," he said. But in humanity's yearning to identify with the holy, another path gets overlooked. "Our calling is to know God as he is and to love God with all of our being and be conformed to the image of Christ," Dillaman said, "rather than to make him look like us." By the 1500s, Blum said, 90 percent of Christians were European. As Europe colonized the globe, they took white Jesus with them. In America, white Jesus images started to become widespread in the early 1800s, according to Blum, coinciding with a dramatic rise in the number of slaves, a push to move Native Americans further west, and a growing manufacturing capability. Today, a white Jesus image is ingrained in American culture. "When we live in a world with a billion images of white Jesus, we can say he wasn't white all we want, but the individual facts of our world say something different," Blum said. "Jesus is white without words. It's at the assumption level," Blum said. "Lodged deep down inside is this assumption that Jesus was a white man. That's where I think (Kelly) is speaking from." There also is a desire to fit Jesus into modern racial classifications. In America today, this logic goes, Jews are white. Jesus was a Jew, so Jesus must be white. Yet Jews did not originate in Europe, and for centuries were considered to belong to a non-white race of their own. Only recently have they been moved into America's "white" column, along with Irish and Italians. "The categories of white and black, coming out of the American experience, it just doesn't make a lot of sense to apply them to Jesus," said Joseph Curran, an associate professor of religion at Misericordia University. "The best inference is what part of the world he was from – he looked like a Palestinian because he was from that part of the world," Curran said. "Does that mean he was black or white? I don't think those categories matter much." For Carol Swain, a scholar of race at Vanderbilt University and a "Bible-believing follower of Jesus Christ," the whole debate is totally irrelevant. "Whether he's white, black, Hispanic, whatever you want to call him, what's important is that people find meaning in his life," Swain said. "As Christians we believe that he died on the cross for the redemption of our sins," she said. "To me that's the only part of the story that matters – not what skin color he was." Jesse Washington covers race and ethnicity for The Associated Press. Follow Jesse Washington on Twitter or email him at jwashington@ap.org.